There are numerous pests that affect the ability of plants to grow, either by attacking the plants or competing with them for the resources needed for growth. This applies to plants that are grown for people as crops. If precautions are not in place to prevent pests from manifesting, the productivity of crops can decline significantly. 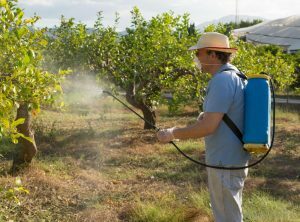 Farmer therefore use pesticides to keep pests at bay or to eradicate them completely. However, some farmers also employ other ways to control pests without the use of pesticides. Locals talk of weird new developments with pest control in Corpus Christi, TX. What started as small ‘chatter’ became the talk of the town when a newspaper article described how the local farmers were eradicating pests. The local farmers in Corpus Christi adapted back-to-basics methods by using various ways to keep their farms pest-free without using chemical pesticides. This however was not easy, as it required the farmers to have extensive knowledge about the nature of the pests, the manner in which it caused harm, when it was most likely to manifest, other possible insects that may feed on those pests and the possible climates that provided unfavorable pest growth, among many others. The farmers also had to make sure that the steps that were being taken to eradicate the pests didn’t harm the crops to be cultivated in any way. 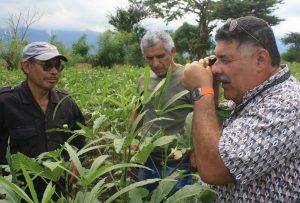 Apart from having immense knowledge on the matters mentioned above, the farmers also had to observe the behavior of the pests and employ various trial and error procedures to evaluate how efficient their eradication methods were. Even though chemical pesticides are not environment friendly, they are still widely used at home, restaurants and in farming as they are easy to apply, kills almost all problematic pests and is widely available. However, the most important factor is time. Using pesticides means the user does not need to go through trial and error methods to test the best possible method to get rid of the problematic pest. These factors however did not stop the local farmers in Corpus Christi to look for alternative ways to get rid of the pests in their farm. The farmers employed methods of crop rotation, where they rotated the plantation of crops every year to make sure pests did not have a viable host available every other year. They also made use of “other pests” that fed on the problematic pest and kept their population at tolerable levels. However, the most paramount method employed was the use of organic pesticides. These organics pesticides were made after trying mixtures of different things that they thought would work to eradicate the pests or disrupt their life cycle. Through keen observation, appreciable knowledge and immense patience the local farmers came up with organic pesticides suited for the most problematic pests in their farms. These organic pesticides were made from everyday, simple ingredients that did not harm the environment or the user in any way. For example, the farmers combined the repellent effects of garlic, onion, hot pepper with the insecticidal soap qualities to imitate an insect solution for garden pests. These activities were noticed by the INC Pest Control company. The company had been investing a lot of money into research conducted by the local university and other places orientated towards more environment friendly substitutes of their products. Therefore, after the newspaper article on the local farmers in Corpus Christi was published, the company hired the farmers that came up with the organic pesticides. When the company was asked why they hired local farmers, the company responded saying that the farmers had the knowledge and experience to aid the company in their research. As a result, the company could benefit from making use of the farmers’ inputs to make a product that they could safely commercialize and mass produce. Recently, INC Pest Control has successfully launched a series of organic substitutes for their products. The products gained rapid popularity as they were greener, posed less risks to human health and were less potent in the environment. Additionally, the marketing of the product portrayed how the expertise of the research team and the local farmers’ knowledge of pests combined to produce the new range of organic pesticides. It is not just enough to select any fence company that crosses your path. Remember that your fence is part of the investment you make concerning your home. While being a visible boundary of your property, it also acts as a form of security to keep your children and pets safe, as well as give you the privacy you need. The first thing you do is to research about the fence company you intend to hire. If for instance, you plan to engage the Charlotte fence company, you can get details about the company online, or you can use any medium to glean important facts about their operations. There is hardly any top line fence company that does not have a website that contains vital information about the enterprise. It is on the website that you get to know the various types of a fence which the company can build, the track record of the business, and any other detail that may interest you. Hopefully, if the website is well-designed and responsive, it may contain a gallery of their previous works. This will go a long way in helping you make your decision on whether to hire them. 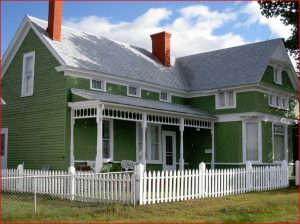 A Fence Company that displays some works it has done will have an edge over one that just lists the types of fences they can build without having it displayed. You may want to know more about the Fence Company that you intend to hire. For this reason, after reading the information they post on their website, you may decide to read the reviews made by customers who have done business with them. This would further strengthen your willingness to hire the Company. If all these criteria are satisfied, you move along to doing business with the Fence Company you decide to hire. When you initiate the first contact, make sure you are attended to by a Customer Service Representative, or in the case of a call made after work hours, a professional that represents the interests of the company should handle your queries. 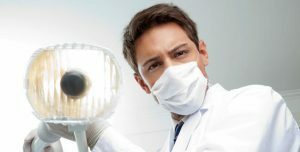 Find out how soon they can meet with you for an appointment. 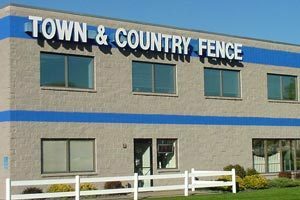 If their timing does not work with you or is an indication that they cannot meet up with the demand of working with you, move along to the next Fence Company on your list. An excellent Fence Company should be able to meet with you as soon as possible. They should also align themselves with all the proper Occupational Safety and Health Administration rule-set and agree to your seeing their showroom if you so desire. One thing to note during your first appointment with the Fence Contractor that you intend to hire is if the Fence Contractor keeps to time and dresses like a professional. You also expect some level of expertise. Have you ever wondered about the ideal way to get the best Mobile Alabama handyman? You do not have to worry as we have captured 5 ways to choose a handyman company. This will give you the right base to make wise decisions and you can share it with your friends who may be at a crossroad. 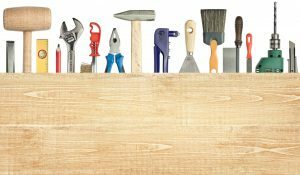 There are many questions that come to mind once you need great handyman service at affordable rates. 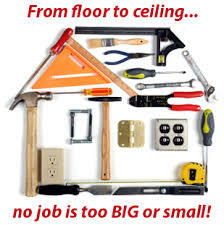 You may wonder about the authenticity of some of the promises made by the handyman on his website and if you are getting great value based on the rates that you are paying. These tips can put your mind at rest. One way to know a good Handyman Company is that they will issue guarantees for each project that they handle. Also, they can give you discounts which mean that their service puts you at a position where you experience lowered risk. Guarantees can stand for months or even for years but the more of such benefits you get from a Handyman Company, the more you can rely on their service. You do not need to be in the dark when you want to commit to any company. One of the easy ways to sift through the myriad of Handyman companies is to connect with customers that they have served. Most times, people are willing to give you an unbiased assessment that can help you decide if you want to engage the services of the company. It is advisable to talk to a wide range of their previous clients if you have the time; this gives you a fair knowledge of what they can offer if you decide to use their service. The advent of the internet has made it easy to pick a Handyman company. There are many forums that give you the right perspective about a company and the nature of their service. If you are interested in a particular company, you must try to read about the reviews that have been made about them online. It is a red flag if you find little or nothing about the organization when you check online. Generally, the higher the propensity of a company to give good service, the higher the prospect of their having great reviews online. You will not want to engage a company that has been unable to equitably serve a wide range of people. Find out how long the company has been in business and try to ascertain the management structure of the company. Is it a one-man business, is it family-owned or is it run in a corporate management style? All these can help you make a good decision. Most companies need a form of social proof to prove their effectiveness. The higher people speak well about a Handyman Company on social media, the higher their social proof. It is important to go with a company that enjoys high social proof on various social media outlet. With the growing population, the demand for the food and other eatable items are increasing rapidly. This increasing demand of food brought back the focus on the agricultural businesses. Many business organisations emerged with the thought of providing adequate food materials to the people and to earn some good profit. J and F Farms is one of the leading farmstead in New Hampshire. It was established in 1906 and since then it has been providing the best quality products to the customers in that area. 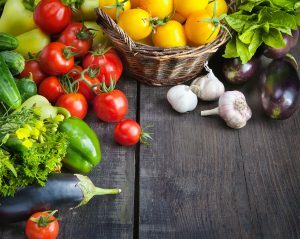 Fresh fruits and vegetables – Each and every variety of fruits are available over the large farming areas of the J and F. Green leafy vegetables can be seen over the farms from a long distance. It always takes care of the quality of the fruits and vegetables to provide a healthy diet to the customers. to the local people. Along with the milk, beef is also available for the customers. J and F farm is actually a hub for non-vegetarian items. Here you can find every variety of meat including chicken, pork and beef. Thus, as per the mood of the clients or customers, the desired item will be provided.